Erica Buswell grew up in Helena, Montana as a descendent of a multi-generational ranching family. Now she keeps her hands in the dirt on her off-the-grid homestead in Searsport where she and her husband, Scott, focus on cultivating fruit trees and berries. She began working for MFT at the beginning of 2011, as a Land Protection Project Manager and now also works as the Farmland Access Program Manager. 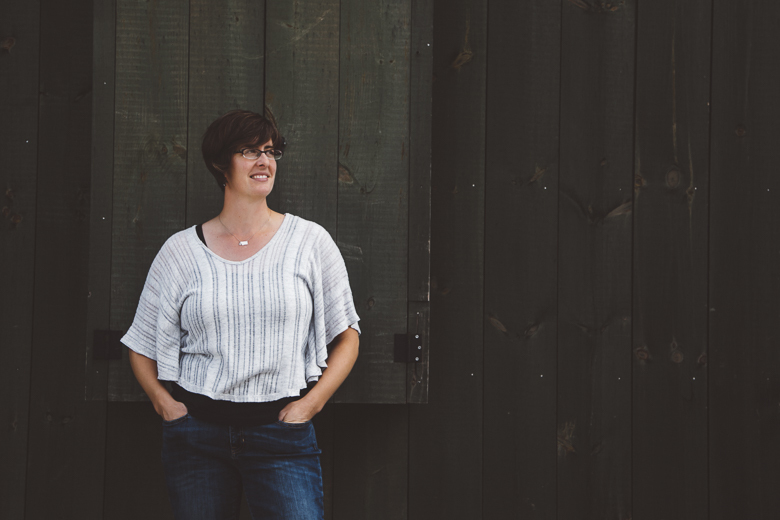 She says it took leaving Montana and connecting with the land in Maine through working with MFT and “toiling on my homestead” to realize how deeply ingrained the landscape of the West is in her identity and how important it is to have access to farmland. Q: What is your role at MFT? A: I help landowners protect their farms with agricultural conservation easements, I oversee our land access loan fund and our farmland leasing program, and I generally make myself available to assist farmers in their attempts to get on land. Q: What drew you to MFT? A: I work for MFT because I want to be a part of the amazing community of folks that are revitalizing and re-inventing the Maine food system. And I also love to cook, eat, and preserve the seasonal harvest. It’s pretty rewarding to hit the Belfast Co-op for grocery shopping every week and to be able to fill my basket with products from farms that MFT has had some hand in supporting. Food is a great connector and builder of community. Q: What are some projects you’re excited about right now? A: Right now I’m in the midst of planning a conference that will focus on farmland access issues. I’ve been running the proposal process to solicit content and presenters and I’m really excited about the depth and diversity of presentation topics coming in. They run the gamut from a session on policy initiatives to sharing tools that enable land access in urban areas. A: Continuing to support New Americans in their efforts to develop farm businesses and establish access to farmland. These farmers struggle with the same issues that challenge most beginning farmers, but they also face additional challenges as refugees and immigrants that make it extraordinarily difficult to secure farmland. Learn more about the work Erica and MFT does with Land Access and Protection here, and if you missed it, be sure to check out the result of her work in Lewiston with the New Roots Farm.